St. Petersburg travel industry enjoyed another fantastic year in 2018, and thanks to all involved, from visitors to travel agencies, airlines, guides and so on. The number of international arrivals increased dramatically (Lionel Messi, Diego Maradona, Mick Jagger were among them) as well as domestic in-flows. 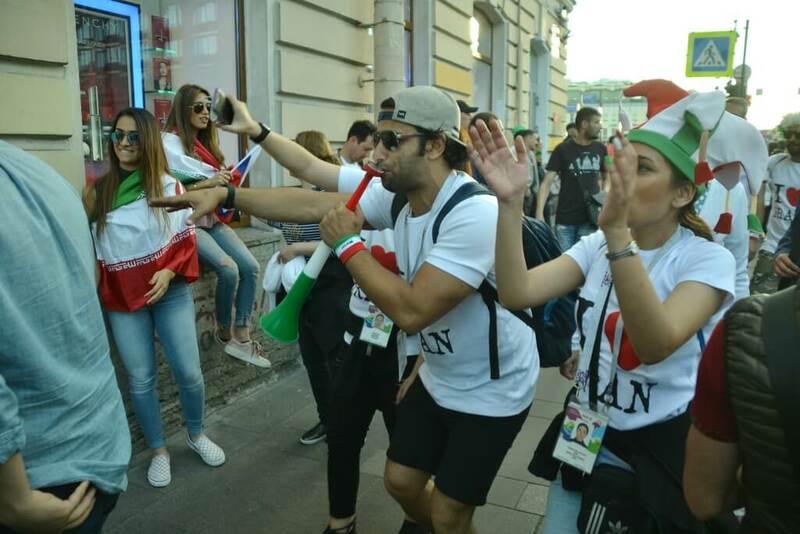 The Krestovsky stadium (now officially named The Gazprom Arena) hosted seven games of the FIFA World Cup 2018, and the Nevsky avenue, the main touristic street of the city, was heavily populated with football fans waving their flags and singing their hymns. That was incredibly, really, we witnessed Iranians crowds, Egyptian «Pharaohs», Nigerian «medics», Mexicanos en sombreros, Argentinians singing a cappella in city’s subway heading to their final and decisive battle with Nigeria (just thereafter Maradona was nearly «dead»). 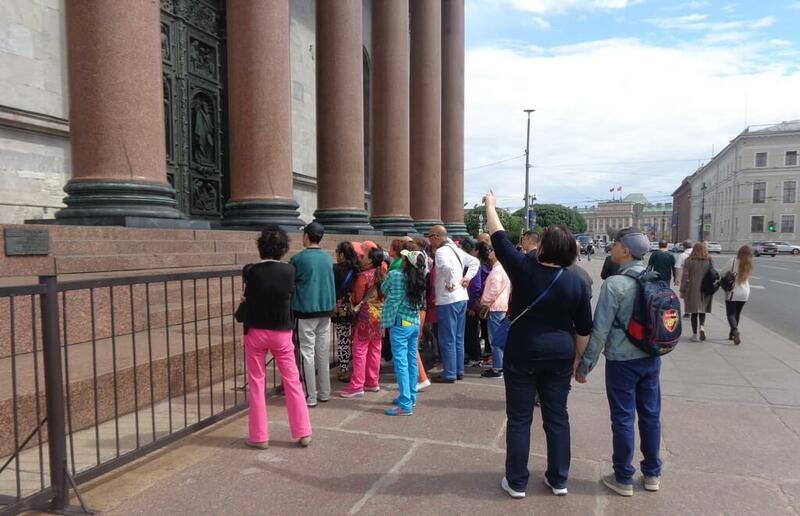 In the period of the WC 2018, since June 14 to July 15, St. Petersburg was visited by 1 047 942 tourists, of which 400,000 were Russians and the rest were foreigners. In comparison to the corresponding period of 2017, tourist flow increased by 30 percent. Interestingly, the biggest group of those who had their fans IDs (102,000) was the Americans, 9,400 persons. So no wonder, the overall number of tourist arrivals in St. Petersburg in 2018 was 8.2 million, which almost 15 percent higher than 2017. While the year 2017 saw a slight decline in numbers of passengers of excursion vessels cruising along the city’s rivers and canals, 2018 turned out to be much better. 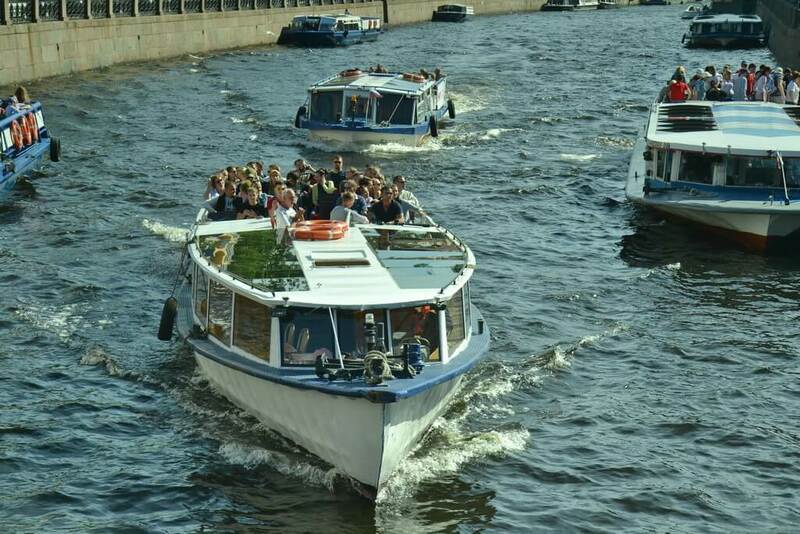 The Association of Passenger Vessels Owners of St. Petersburg, whose 18 members operate 188 vessels, or nearly 85 percent of the local tourist fleet, served 1.99 million visitors, and another million were transported on hydrofoils (meteors) to Peterhof, Schlisselburg fortress and Kronshtadt. Last year, it was only 760,000 passengers. Thanks to the good weather and the gods of football again. St. Petersburg Pulkovo Airport: Welcome, Our 18 Millionth Passenger! With just a few days left till the coming of the New Year 2019, one young lady stepped in the departure hall of Pulkovo airport. She was going to take a flight to the city of Volgograd and her thoughts might already have been with her plane and flight, but suddenly an airline’s and an airport’s employees interrupted her thinking. They informed her that she was the 18 millionth passenger of Pulkovo served last year. In 2017, the Pulkovo traffic was 16.1 million, which was then a record breaking figure. So, now it’s 11.8 percent up, and it’s another record, as you guess. 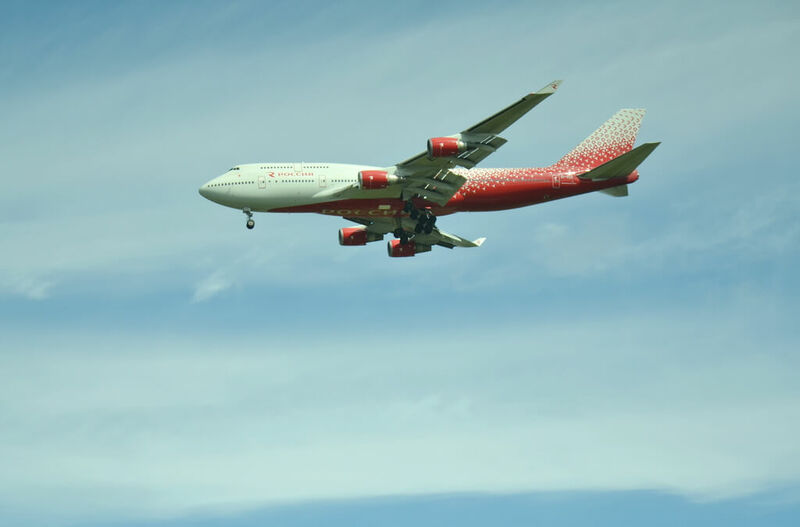 Once again, thanks to football as well as the efforts by Pulkovo, which launched new 19 routes in 2018, invited four new foreign airlines and served an Airbus A380 for the first time. By the way, the airport has now a capsule hotel. 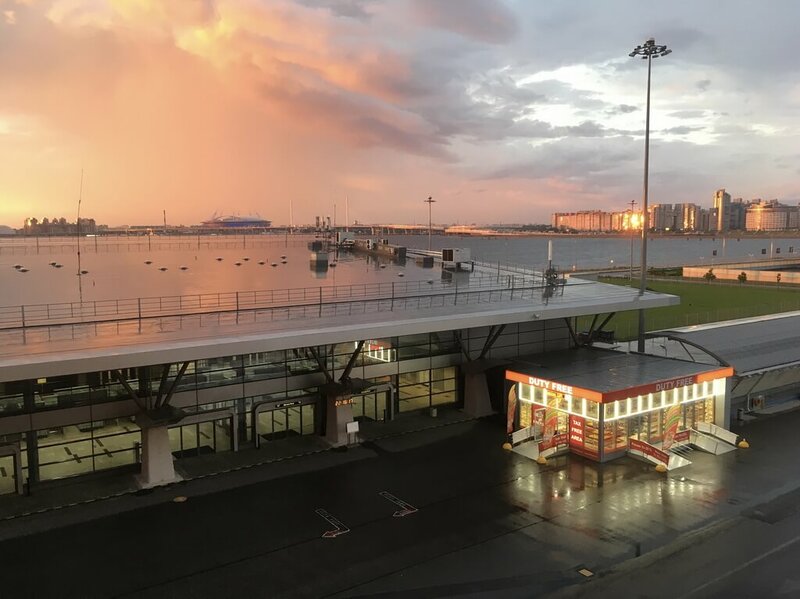 When AIDAbella operated by AIDA Cruises left the St. Petersburg Passenger cruise port (The Marine Façade) on October 17, 2018, you could applaud to the result of the cruise season. 270 vessels called in the port bringing 623,166 tourists since the navigation was launched on April 27 with the arrival of Viking Sea (Viking Ocean Cruises). The number of calls increased by 11 percent to 2017, the number of passengers went up by eight percent. And that’s one more record in the St. Petersburg travel industry. Though, 2019 is projected to see 625,000 passengers. The peak day was June 30, when Norwegian Breakaway, Marina, Mein Schiff 1 NEW, Britannia, Zuiderdam and Regal Princess brought 18,198 tourists (in 2017, there were 17, 911 on a peak day). The figure exceeded the capacity of the port, but organizational measures made it possible to tackle the problem and let the visitors flow out of the port smoothly. The biggest segments were the Americans, who increased their share in overall traffic, and the Germans, 25 percent each, followed by the Brits with their 14 percent share. Totally, the throughput of the Marine Façade since the start of operation in 2008 was 2,500 calls and 4.6 million passengers. Sapsan train population in 2018 was as large as a population of a European country, 5.5 million persons, which is seven percent more than in 2017. Since the start in December 2009, Sapsan transported 33.6 million passengers. 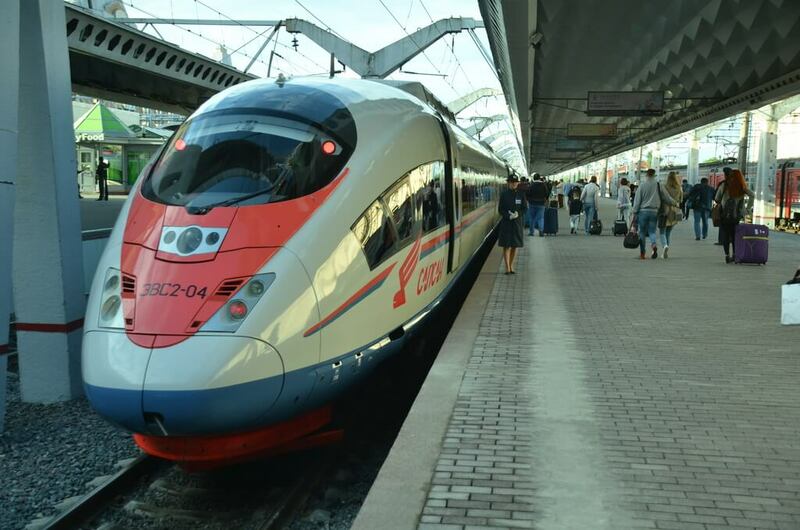 Now, the train’s share in Moscow – St. Petersburg passenger traffic is about 50 percent, with the rest going to aviation and buses. And yes, that’s a record too. 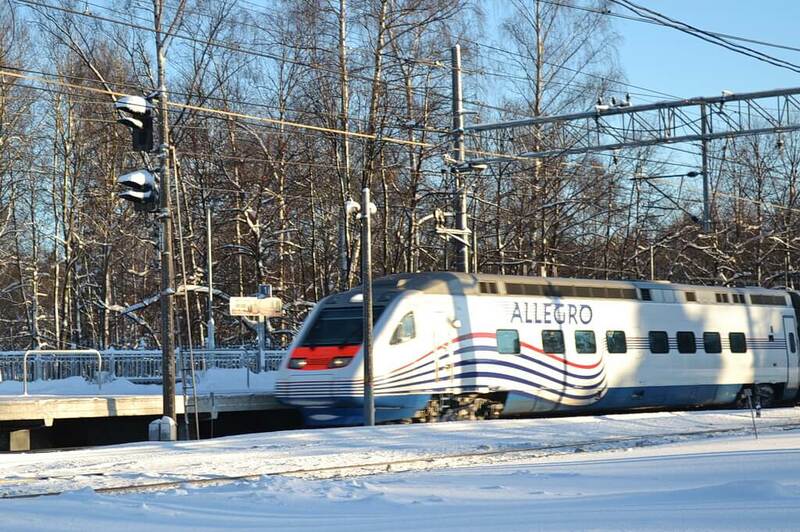 Allegro train is cruising between St. Petersburg and Helsinki four times a day, delivering you from Russia to Finland or in the contrary direction in just 3.5 hours and the minimum inspections and other formalities which are conducted when the train is moving between the borders. 481,800 passengers were served in 2018, up 0.5 percent to 2017. The modest growth rate is really an achievement given the freezing temperatures in the relations between Russia and the European Union. We exactly don’t know whether that’s a record or not, but it seems so. In any case, it’s a good figure showing that ordinary tourists and businessmen hardly pay attention to blow-ups of politicians. Since the start of operation in December 2010, Allegro transported 3.28 million passengers. By the way, as of October 4, 2018, you can purchase tickets for Allegro 90 days prior to your departure date. Moby SPL, the ferry company operating the only ferry in St. Petersburg, Princess Anastasia, doesn’t reveal accurate operational results. 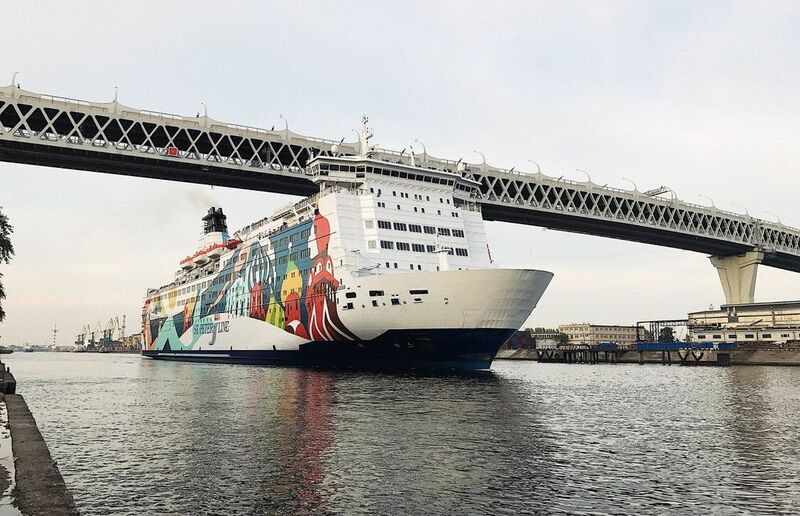 It’s only known that their plan was 326,000 passengers for the season 2018, which started on March 25 and ended in early 2019 after New Year’s cruises around the Baltic Sea. Judging by comments from company’s top-management and our sources in the industry, 2018 was good year for the ferry, so the results were not far from these 326K passengers. The Hermitage reached the Soviet times highs in 2018 with its 4.5 million visitors amid the overall increase in tourist numbers in the city. At one moment, only 7111 persons are allowed to be in the main complex of the museum due to fire safety regulations (this is the number of people which can be evacuated in 10 minutes in case of emergency), so the Hermitage limits access from time to time. In the years to come, the museum sees an increase to six million visitors a year, including the main complex and other facilities. The Isaac’s Cathedral was visited by 3.3 million persons in the first nine months of 2018, which gives more than four million in the entire year, and that’s higher than in 2017 with its 3.82 million. Peterhof with its fountains once again was the most popular museum in Russia hitting the 5.5 million visitor milestone, which included tourists at all places – Peterhof itself, Strelna and Lomonosov (museum facilities there are part of the Peterhof museum complex). That’s more than 5.2 million in 2017. Pushkin, or the Tsarskoe Selo served more than four million, a bit more than a year ago. 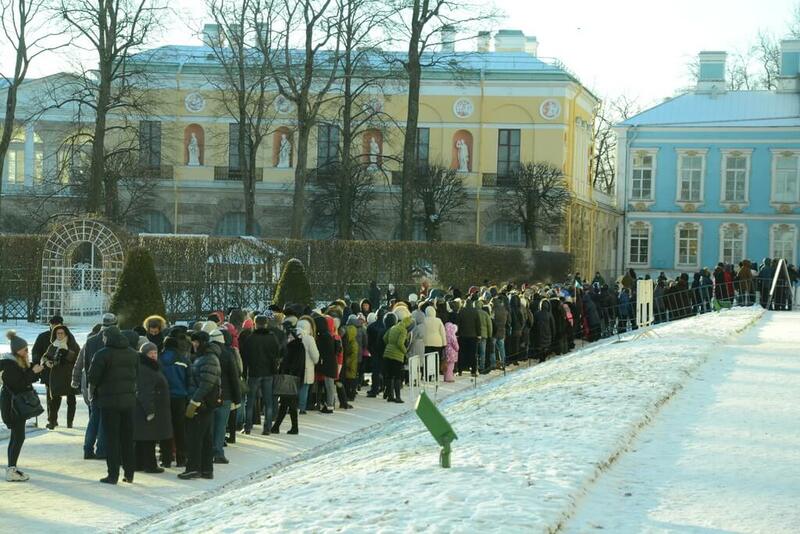 The figure could have been higher, but very-very long queues to the Catherine palace (see the picture above), which contains the Amber room, in the summer 2018 prevented many from going to Pushkin or at least from visiting the Catherine park and the palace. In August, many guides shared in professional social network groups that they were talking their clients from even trying to visit the palace. In 2019, the situation is believed to be the same or even worse, so the museum is widening the choice of entertainments for tourists to enjoy: in early this year, horse drawn sledging in Pushkin has been added to the «menu». In summer, the sleigh is going to be replaced by a carriage. On an average, 2018 was a successful year for St. Petersburg hoteliers as their earnings grew across all profit parameters and across all the segments – three, four and five stars facilities. There is preliminary statistics from the RevSales company for 2018 and final figures 2017 for comparison. In 2018, all 173 three, four and five star hotels had totally 22,300 rooms. With mini hotels, hostels and apart hotels, the total number of rooms in St. Petersburg was nearly 40,000 in 1200 accommodation facilities. 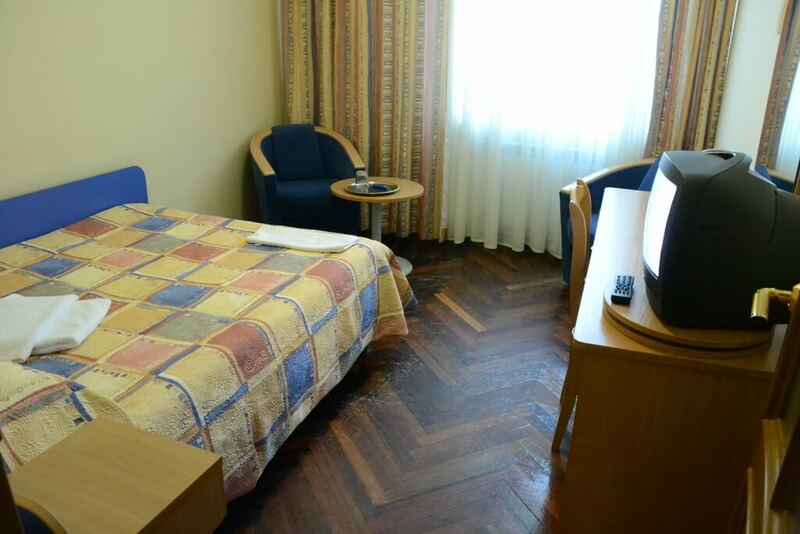 Last year, seven new hotels with more than 1,000 rooms were put into operation in the city.